Complete set on a discounted price. As long as the supplies last. 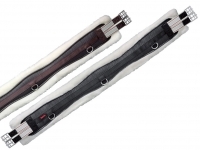 Close contact jumping saddle in high quality grain leather. 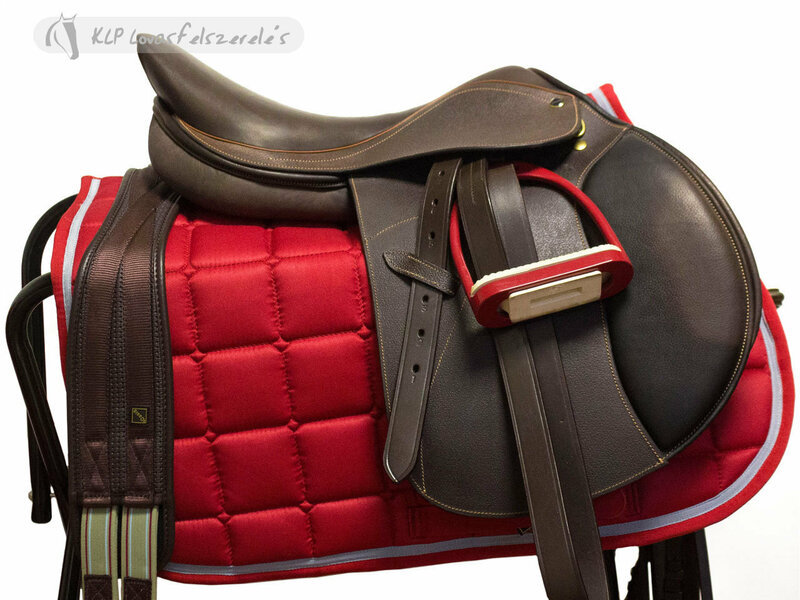 Square cantle seat, latex moulded panels, front bananas and rear knee pads, stainless steel stirrup bars. Synthetic tree, gullet size is 28 cm. 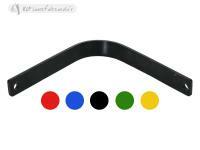 Contoured shape, high soft, with elastic oneend and reinforced with nylon. 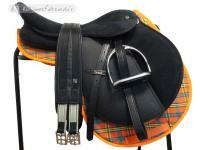 In stainless steel, in various kind of decorative colors.Complete with dotted rubber steeds. In high quality and stainless steel buckles. 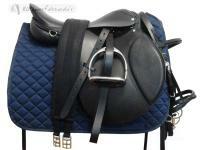 In leather, provided with raised and shaped browband and flash noseband,rubber tone-tone reins, harness round stainless steel buckles.